The Fireboat will greatly enhance the agency’s ability to fight fires and provide marine search & rescue operations. The aluminium shipyard AISTER has awarded a tender to build a fireboat for Alicante (Spain) Diving team (SPEIS). 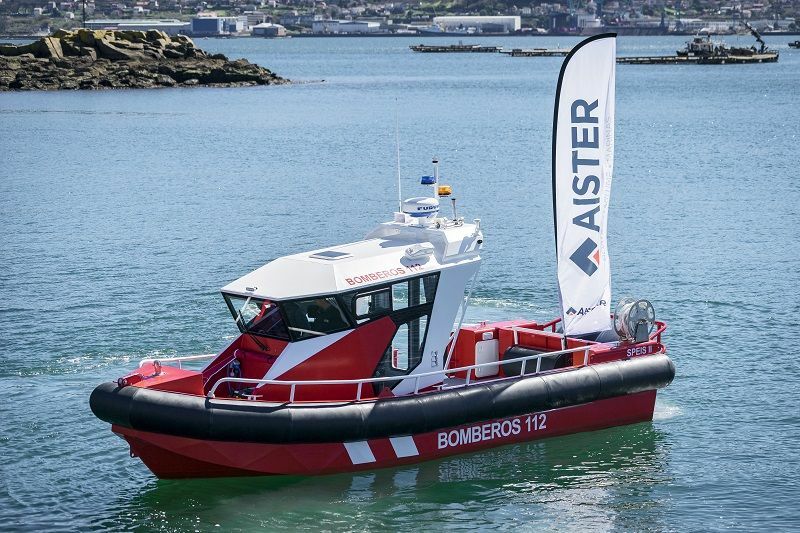 The company executed the design and the construction of this new boat that has multi-mission assets with uses including S.A.R and fire fighting missions. This new fireboat, called SPEIS II, has a lenght of 8 m, a beam of 3.2 m and aluminium hull. The Shipowner opted for this option due to the aluminum adventages as a shipbuilding material as strength, light-weight, customized design and also becasuse is an eco-friendly material due to it´s 100% recyclable. The cabin has been designed with close attention to ergonomics and working environment. It’s acoustic and thermal insulated, with waterproof doors and side windows to ensure safety under all operating conditions. 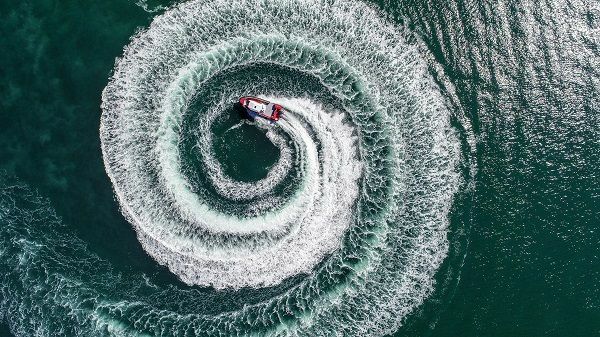 Its nordic design turns this fireboat into a boat that attracts for its stunning shapes. The cabin layout has been developed to facilitate the workflow coordination during the navigation. The wheelhouse has 360 degree visibility which ensures the highest standards of safety and it’s equipped with guidance, navigation, control and communication systems. The marine interior design is made by high quality standar what allows a maximum comfort. 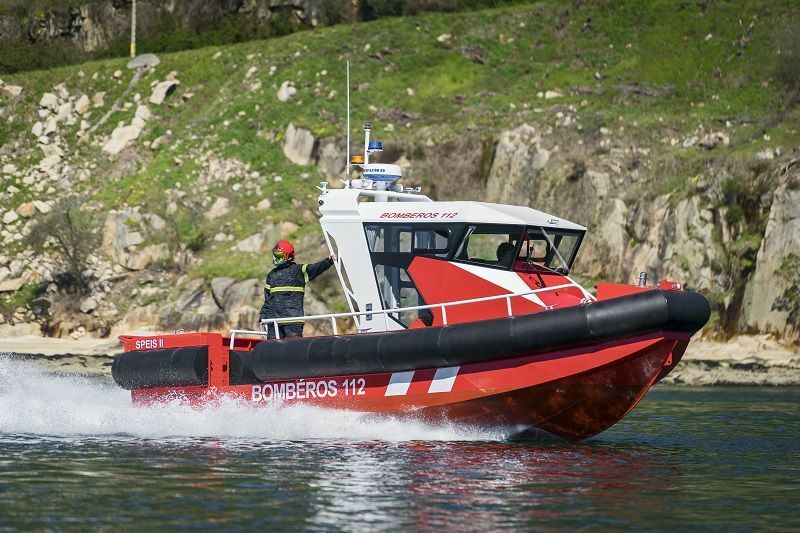 For its firefighting duties, the SPEIS II, is equipped at the bow with a fire-extinguisher system, a water pump to supply 400 liters per minute with a pressure of 5 bars. Boat dimensions and equipment are designed to operate in areas of difficult access. In addition, this fireboat has a space onboard where the crew can stow materials and transport them covered by a marine canvas of the same colour as the boat. Propulsion comes from two Yamaha 250 HP outboard engines with two 500 liters aluminium fuel tanks. The SPEIS II can reach a maximum speed of 38 knots and a range of 350 nautical miles at cruising speed of 20 knots. After sea testing at Vigo’s bay, the fireboat behaviour is relayed faithfully and accurately, ensuring an undiluted sailing experience. The weight calculation study and the hull form allows a quick transition from stop to planning, excellent stability, and a great behavior during the navigation. The cycling test closes in less than two lengths which means maximum maneuverability in any type of operation and intervention. The deck has a great stability with a walk around cabin towards to facilitates the crew movements around the vessel and a stern deck space as a wide working area and loading space for divers and their equipment. The SPEIS II stands out for easy access to the water which greatly facilitates the diving works and the collection of objects from the sea. It has at both sides a removable side system used by divers to easily access to the water from the boat. This system is also used as a rescue area for the collection of people. The crew safety is guaranteed with a self-draining hull and three watertight compartments. At the same time has installed a full bilge alarm system. In addition, it has a non-floodable floatation reserve in order to ensure buoyancy in any flood contidion, making the boat unsinkable. 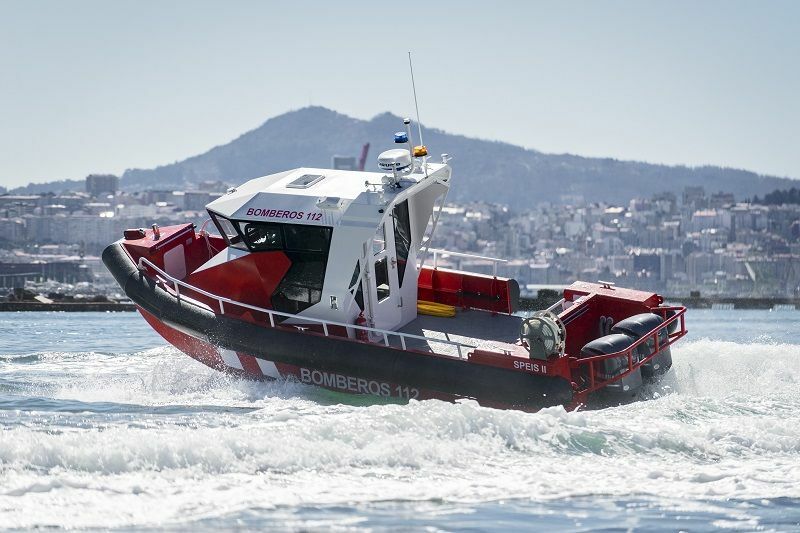 Currently, the Alicante Firefighting department has a semi-rigid inflatable main boat, another inflatable craft and, with this new construction, a third aluminium fireboat built for AISTER. In AISTER, we have been working for sea professionals for 30 years. During this time, we built professional aluminium boats for different State Security Bodies such as Spanish Coast Guard or Spanish Navy.